The Bluegrass has 639,419 residents according to 2016 Census Bureau estimates. 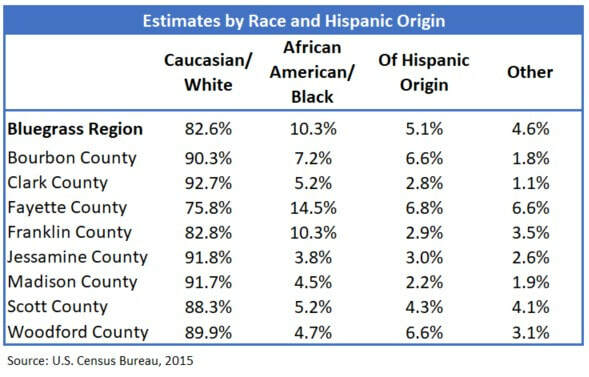 The region’s population, which includes the counties of Bourbon, Clark, Fayette (Lexington), Franklin, Jessamine, Madison, Scott, and Woodford, has grown by about 18% overall since the 2000 Census. 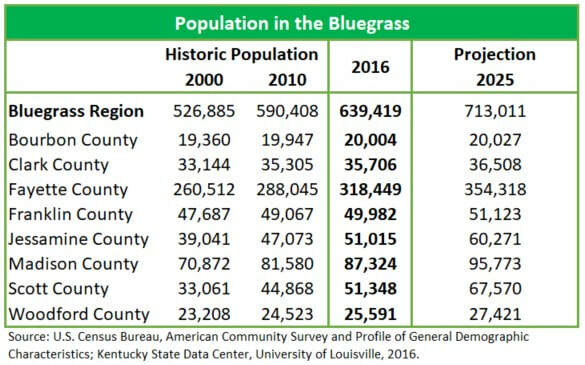 ​The Bluegrass Region’s (and especially Lexington’s) population is younger, on average, than either Kentucky or the United States. 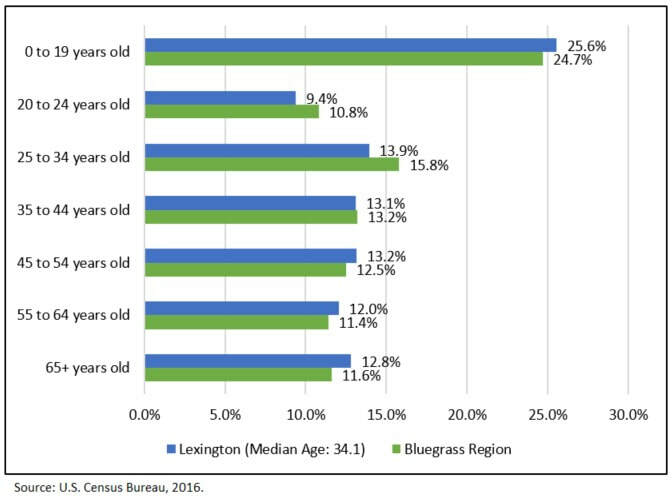 The median age of Lexington-Fayette County is 34.4 years old and rises slightly to 36.2 years old when the rest of the Bluegrass Region is included. Kentucky’s median age is 38.8 years old while the United States’ median age is 37.8 years old. 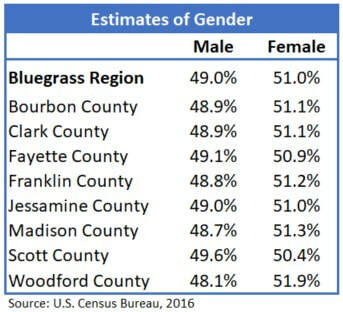 ​Overall, the Bluegrass closely mirrors the state of Kentucky in terms of its gender split. Bourbon County comes the closest to a true 50/50 split, with several counties in the Bluegrass displaying a more pronounced female bias.